CHINA’S cities abound with restaurants and food stalls catering to Muslims as well as to the many other Chinese who relish the distinctive cuisines for which the country’s Muslims are renowned. So popular are kebabs cooked by Muslim Uighurs on the streets of Beijing that the city banned outdoor grills in 2014 in order to reduce smoke, which officials said was exacerbating the capital’s notorious smog (the air today is hardly less noxious). India’s announcement that it would ratify the 2015 global agreement on climate change increases the chances that the pact will go into effect this year. The World Bank said on Thursday it would lend India more than $1 billion for its huge solar energy programme, after Prime Minister Narendra Modi sought climate change funds from its visiting head. Modi is banking on India’s 300 days a year of sunshine to generate power and help fight climate change rather than committing to emission cuts like China. The World Bank loan is the global lender’s biggest solar aid for any country and comes as India has set a goal of raising its solar capacity nearly 30 times to 100 gigawatts by 2020 and is attracting mega investment proposals from top companies and institutions. “Prime Minister Modi’s personal commitment toward renewable energy, particularly solar, is the driving force behind these investments,” World Bank President Jim Yong Kim said in a statement released after he met Modi. “The World Bank Group will do all it can to help India meet its ambitious targets, especially around scaling up solar energy. “India is the largest client of the World Bank, which lent it around $4.8 billion between 2015 and 2016. Modi’s office said he told Kim about the need for climate change financing for countries like India that are “consciously choosing to follow an environmentally sustainable path”. India wants the share of non-fossil fuel in total installed power capacity to jump to 40 percent by 2030 from 30 percent currently, but there are challenges including weak finances of state distribution companies forced to sell subsidised power, difficulties hooking up solar projects to grids, and access to affordable capital. Still India reckons its renewable energy industry could generate business opportunities worth $160 billion this decade, making it a lucrative market that has already attracted big global players such as Japan’s Softbank Corp, Taiwan’s Foxconn, First Solar, Trina Solar Ltd and Finland’s state-controlled utility Fortum Oyj. German development bank KFW has already agreed to offer India low-interest loans of around 1 billion euro over the next five years to fund roof-mounted solar panels, and the construction of solar energy farms and self-contained solar power facilities not connected to the grid. Yao Xinyu, founder of a popular software hosting service called GitCafe, opted not to attend college because he felt he could do a better job teaching himself what he needed to be successful in the real world. His parents disapproved but he stuck to his guns, studied on his own and built the successful startup after attracting 3 million yuan in capital from Greenwood Asset Management in late 2013. The 24-year old doesn’t see much chance that colleges in China will change to better meet the shifting needs of China’s economy, he said, since demand is high, their business model is profitable and there’s little incentive to adapt. “I just decided I knew how to develop my own career,” he added. One the knottiest problems China faces as its economy slows is a mismatch between people’s education levels and the needs of an economy increasingly reliant on technology and innovation, the Organization of Economic Cooperation and Development said Friday in a report on China. China’s productivity is decelerating and it’s important to reverse this “worrisome” trend given the nation’s rapidly aging population and the related prospect of slower rates of savings and investment, the Paris-based organization said. While China has aggressively stepped up its spending on research, this isn’t translating sufficiently into innovation, the 34-member OECD said. China’s spending on research and development hit 2% of gross domestic product in 2013, which is above the European Union average, and has set a target of 2.5% of GDP by 2020. But innovation remains weak as measured by international patenting and trademark registration, the report said. “And the bulk of university research is not relevant for business,” the OECD said. China has targeted economic growth of 7% this year, a reduction from last year’s 7.4% which was its slowest pace in nearly a quarter century. 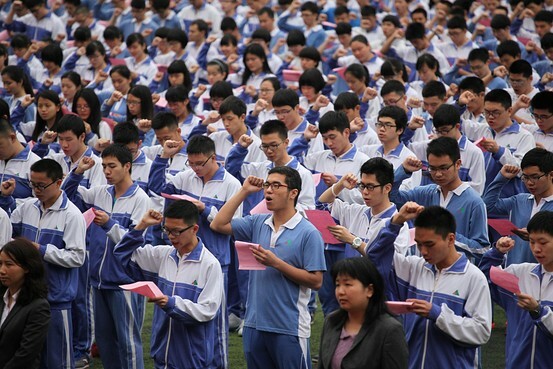 via China’s Coming Education Crisis – China Real Time Report – WSJ. China burned less coal and generated more electricity from renewable sources last year, which helped halt the rise in global carbon dioxide emissions in the energy sector. Emissions of carbon dioxide were flat at 32.3 billion tonnes last year, as they were in 2013, the International Energy Agency (IEA) reported yesterday. It ended steady gains over the past four decades except in years with an economic downturn. “This is both a welcome surprise and a significant one,” IEA chief economist Fatih Birol said in a statement. The IEA, which is based in France, and advises governments of developed nations, said the halt in emissions growth was linked to greener patterns of energy consumption in China – the top carbon emitter ahead of the United States – and in developed nations. “In China, [last year] saw greater generation of electricity from renewable sources, such as hydropower, solar and wind, and less burning of coal,” it said. 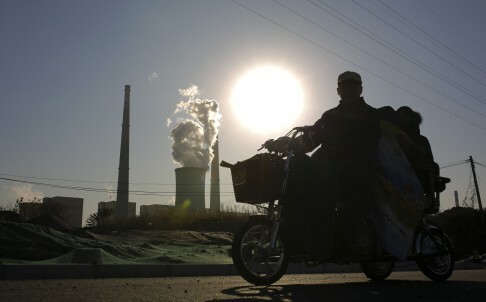 via China’s greener energy efforts help global carbon emissions stall after almost 40 years of gains | South China Morning Post. Happiness matters most to the average Indian. At the same time, the average Indian care more about their pay than most do in South Asia. In fact, Indians care more about their paycheck than people in the U.S. or Europe. Those findings, recently released by the Paris-based Organisation for Economic Co-operation and Development, was based on a survey of more than 60,000 people about their quality of life. Respondents were asked to rank 11 categories – from income and job satisfaction to personal health and safety – in order of what mattered most to them. Life satisfaction, or happiness, OECD found, was most important to people world-over. More than 75% of those surveyed reported more positive experiences in a day over negative experiences. Respondents from Iceland, Japan and New Zealand felt the most positive, while those in Greece and Turkey showed the lowest levels of happiness. Personal health was second-most important concern. China, Canada, France and Australia were among countries that ranked personal health as most important to them, even over happiness, safety and a stable income. World-over, civic engagement, or greater participation in public policies, occupied a lowly position in rankings. Fewer than two-fifths of those surveyed said they trusted their national governments — but also said fixing the state of affairs in their country wasn’t a priority. The world’s biggest-ever election is underway in India, for instance, yet the nearly 600 Indians OCED surveyed, ranked civic engagement, or greater participation in public policies, as least-important to them. India’s South Asian neighbors — China, Pakistan, Bangladesh and Sri Lanka – were no different. Civic engagement was least-important to people across the four countries. Respondents in each of these countries differed about what mattered most to them. While Indians and Chinese picked happiness and health care, respectively, respondents from Pakistan named safety as their top concern. Education mattered the most to people in Sri Lanka. 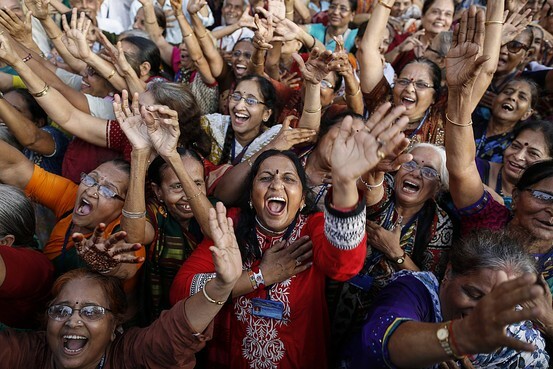 via Study: Happiness, Money Matter Most to Indians – India Real Time – WSJ. India plans to step up its efforts to bring back Indian artefacts from other countries after the recent repatriation of a 10th century “Yogini” stone sculpture from Paris. Illegal trade in paintings, sculptures and other artefacts is one of the world’s most profitable criminal enterprises, estimated at $6 billion a year, according to Global Financial Integrity, a Washington-based advocacy group. India is one of the biggest targets for smugglers, who ship stolen antiques and other culturally important artefacts abroad to sell to art dealers and museums. India Insight spoke to R.S. Fonia, Director (Antiquity) at the Archaeological Survey of India (ASI), about the black market for Indian artefacts and what the ASI is doing to bring Indian antiques back home. This interview has been lightly edited. Are you seeing an increase or decrease in smuggling of Indian artefacts? Awareness has increased about the antiquities, so it has decreased. Certainly there is decline of smuggling. How big is the market for smuggled Indian artefacts? What initiatives are you taking to bring back Indian artefacts from abroad? We are trying hard. That’s why we have retrieved 16-17 artefacts from abroad. We are directly interacting with all concerned agencies, but it takes some time. There are so many processes involved. Reuters: “China to make Paris a major offshore yuan trading hub in Europe, competing against London, the China Daily on Saturday cited Bank of France Governor Christian Noyer as saying. Yuan deposits in Paris amount to 10 billion yuan ($1.6 billion), making it the second largest pool for the Chinese currency in Europe after London. Almost 10 percent of Sino-French trade is settled in yuan, also called the renminbi or RMB, according to French data cited by the official newspaper. “The Bank of France has been working on ways to develop a RMB liquidity safety net in the euro area with due consideration of a supporting currency swap agreement with the People’s Bank of China,” Noyer told the English-language newspaper. via France plans currency swap line with China: paper | Reuters. SCMP: “Li Yuandong, 23, remembers buying 10 Burberry scarfs, two Burberry handbags, two Louis Vuitton handbags and some luxury perfumes in one day in Paris without blinking an eye. “Then I blew my ‘millionaire’ identity by hopping on a crowded subway train heading home”, wrote Li, a Chinese graduate student studying engineering in France on his blog. Li’s post went viral on China’s social media, including Sina Weibo, China’s popular twitter-like service. In a humorous tone, Li wrote about his side job of buying luxury goods for friends in China, and complained the burden was growing too heavy. But the conversations all ended with the same question: “Can you buy me a Louis Vuitton”? via Chinese student in France sick of buying luxury goods for other people | South China Morning Post.